Recent advances in magnetic resonance imaging (MRI) allow for the comprehensive visualization and quantification of in vivo aortic 3D hemodynamics using 4D flow MRI. The technique offers the opportunity to derive advanced hemodynamic measures, such as wall shear stress, for an improved characterization of aortic disease beyond simple flow metrics known to be associated with aortopathy and aortic valve disease. 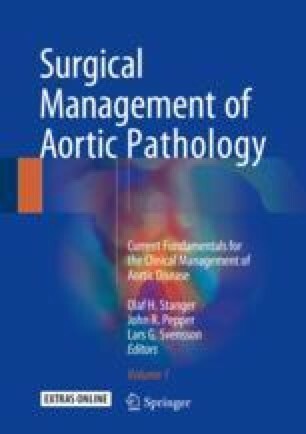 This chapter will provide an introduction to 4D flow MRI as it is currently used for blood flow visualization and quantification of flow parameters and wall shear stress in the setting of aortopathy and aortic valve diseases with a focus on congenially abnormal bicuspid aortic valves and aortic stenosis.